Growing up in Malaysia, Christina Arokiasamy remembers both her family's kitchen cooking cabinet and their medicine cabinet being full of spices. She recalls helping her mother haul turmeric, cinnamon and cloves for her family's spice business. And she remembers her father, a naturopathic physician, giving her clove oil for toothaches and hot water with star anise for colds. 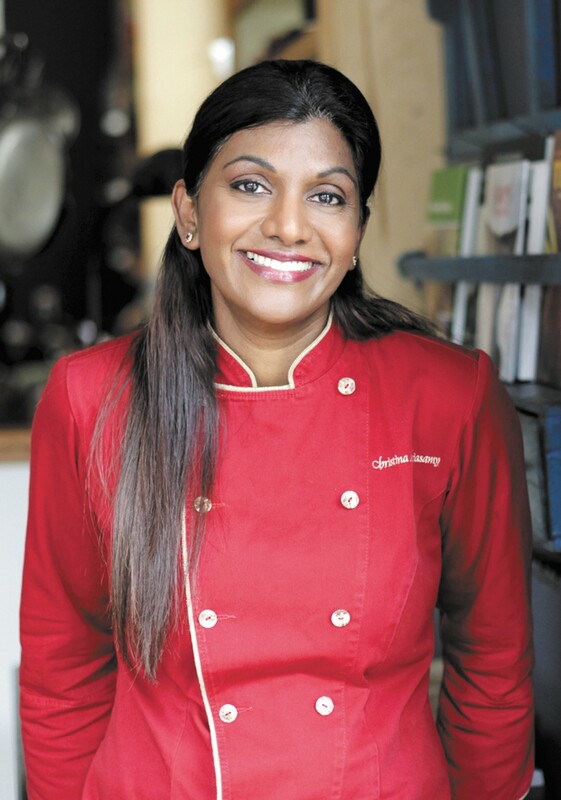 Now based in Seattle, Arokiasamy is a chef, culinary instructor and the author of The Spice Merchant's Daughter: Recipes and Simple Spice Blends for the American Kitchen, a cookbook that draws on her personal narrative. She's also Malaysia's official food ambassador to the U.S., introducing the foods of her homeland to American tables. At work on a second cookbook now that will be published in 2016 by Houghton Mifflin Harcourt, her central message to American audiences is that incorporating more herbs and spices into their cooking will not only make their food more flavorful, but also will result in health benefits. "I want to see changes in diets and food for children, college students, everyone," she says. "We have a lot of health issues in the U.S., and more people need to understand that if they eat right, they'll have a better quality of life." Once relegated to naturopathic or traditional medicine, herbs and spices are increasingly becoming accepted as mainstream ways of improving health. Research has found that consuming herbs and spices can reduce blood sugar and blood pressure, as well as potentially decreasing the risk of diabetes, heart disease and some forms of cancer. "I definitely believe that people should incorporate more spices or herbs in their cooking, no question," says Craig Hunt, a Spokane registered dietitian. Christina Arokiasamy's first cookbook, The Spice Merchant's Daughter, was hailed as one of 2008's Top Ten by NPR. Her second, due in 2016, focuses on using spices for health. Hunt says in the 1960s, he would hang out in health food stores, which were some of the few places that touted the benefits of herbs and spices. The concept that these aromatic ingredients were actually good for you remained on the fringes throughout the 1970s and 1980s, he says, and it wasn't until the past 10 years or so that researchers in modern medicine began to consider whether there were health benefits to be exploited. But Hunt says researchers are still trying to nail down precisely what those health benefits are. For instance, he says that cinnamon has been the object of substantial research inquiry, with evidence showing it can play a role in modulating blood-sugar spikes, but overall much of the research on spices remains inconclusive. It could be, he says, that the health benefits of herbs and spices are different when they're consumed with other spices, and it's likely that they affect different people in different ways. "That's why it's hard to pin it down," he says. "We know they have an effect, but how do you measure it, and what happens when you digest it?" After 15 years as a chef, Pete Taylor says he was drawn to working with spices because of the seemingly infinite combinations of flavors. 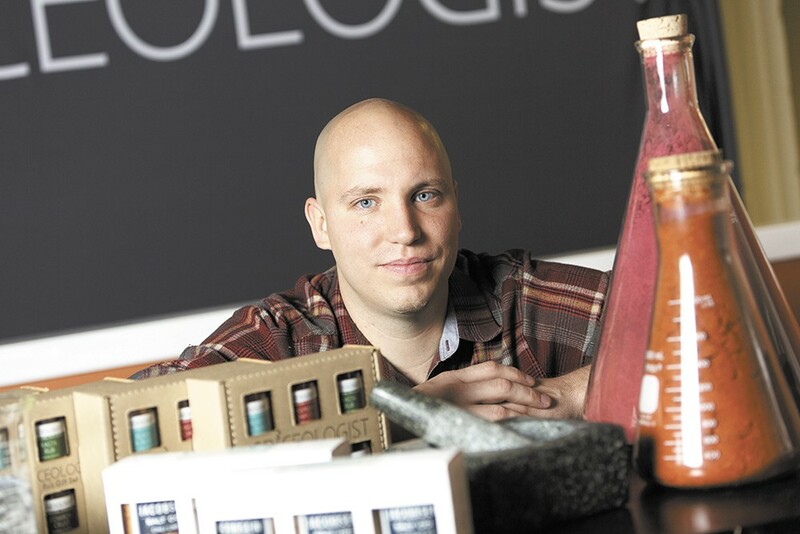 Now, as CEO of Spokane-based Spiceologist, a rapidly expanding company, spices are his full-time job. He enjoys helping customers discover spices for both their culinary and health benefits. For example, he says, chiles may actually help people lose weight. That's because people generally eat spicier and more flavorful foods more slowly, and consequently eat less because they start to feel full. But chiles also contain capsaicin, a substance that studies have shown can increase metabolism while decreasing appetite. He's also a fan of a lesser-known spice called sumac, which has a citrusy note, and has been shown by research to help keep arteries clear. He suggests that saffron, which lends a rich yellow color to dishes, may reduce the risk of some types of cancer. Spiceologist CEO Pete Taylor recommends that newbies start with a spice blend. For spice novices, Taylor suggests trying a blend to start. Za'atar, an antioxidant-rich Middle Eastern blend of spices that includes sumac, thyme and oregano, is one of his favorites. For both taste and health reasons, fresh spices are best. Taylor recommends not buying seasonings in bulk, because both flavor and health benefits fade as they sit on the shelf. To test for freshness, Arokiasamy suggests giving a spice container three taps on the side and sniffing before purchasing. If you can't smell the aromas, she says the spices are probably no good. For the freshest spices, Taylor says you should consider grinding them yourself, adding that toasting whole seeds or powders before adding to food will help unlock their flavor. This recipe offers great way to use cinnamon in a savory setting. Preheat oven to 375. Combine flour, salt, sugar and spices in bowl and hand mix. Dredge tenderloins in flour/spice mix. Heat a cast-iron skillet (or heavy-gauge sauté pan), add oil and sear all sides of tenderloins. Once all sides are seared (be careful not to over-caramelize), finish the pork in the oven until its internal temperature reaches 145 degrees. Remove from oven and let pork rest for five minutes before serving. Serve pork with warmed chutney. Rice or sweet potatoes are a good accompaniment. You don't have to reserve spices for cooking. This smoothie unleashes the power of turmeric. Place all ingredients in a blender jar and blend until smooth. Serve immediately. "One of the spices that I think everyone should use in the kitchen is turmeric," says chef and author Christina Arokiasamy. 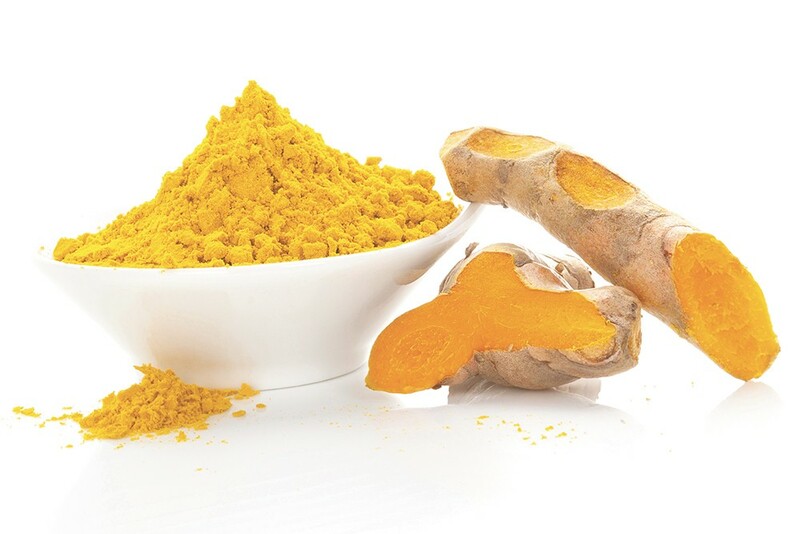 Turmeric, with its deep golden color, has long been a staple in curries and other Indian foods, as well as in naturopathic medicine. Now Western research has shown it is a potent anti-inflammatory that may benefit the cardiovascular system, as well as having a protective effect against some types of cancer. Turmeric shouldn't be limited to curries — it can easily be woven into Western foods like mac-and-cheese and scrambled eggs. Hot and spicy chiles and peppers are consumed all all over the world, and their health benefits are well established. Capsaicin, one of the key components of chiles and peppers. may assist with weight loss, managing diabetes and reducing inflammation. Spiceologist's Pete Taylor notes that the heat in a dish can be balanced by adding a something sweet, like honey. Novices, he says, may want to start with a pepper blend. Made from the seeds of a plant related to parsley that's native to the Mediterranean region, cumin is an earthy, somewhat bitter but versatile spice that goes well in a range of food, including dishes based on grains, meat and legumes. Research has shown that it's rich in antioxidants, and researchers are intrigued by its potential anti-cancer activity in the body. If you're not ready for anything too spicy, familiar old cinnamon offers benefits in managing blood sugar and may assist in the battle against fungal infections. "I cook a lot with cinnamon," says chef Christina Arokiasamy. "For me, it's maybe ironic that it's a sweet for Americans, used in sugary confectionaries. In Malaysia, we don't look at it as a spice for dessert," she says, noting that cinnamon also goes with meat, curries and stir-fries. Recent cleverly devised research in England demonstrated that the aroma of rosemary in a room enhanced recall in subjects given memory tests. (Conversely, the scent of lavender reduced memory.) Blood samples taken after the unwitting subjects spent time in the aromatic rooms revealed the presence of a rosemary compound that researchers believe may act similarly to current medications used to treat dementia.